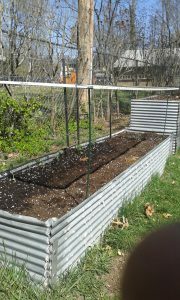 Posted 3:55 pm by Mike & filed under Raised Beds & Gardening tips. 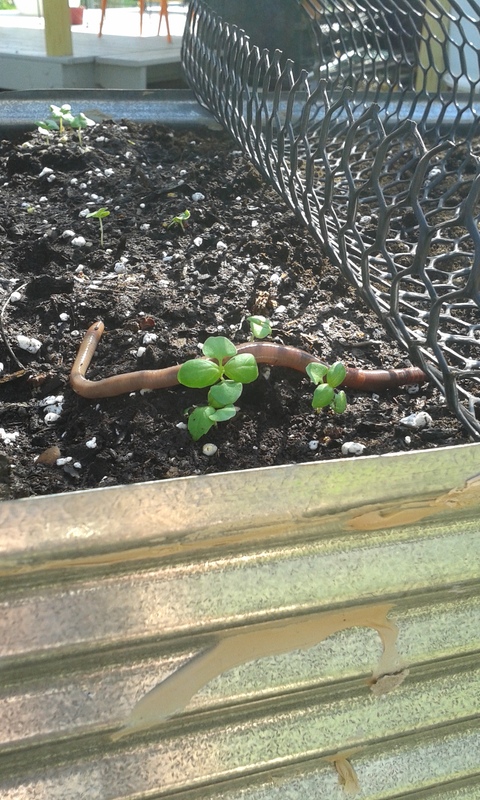 After the seedlings were getting to tall for all of the containers I had them in and the peas needed some support, into the ground they went. 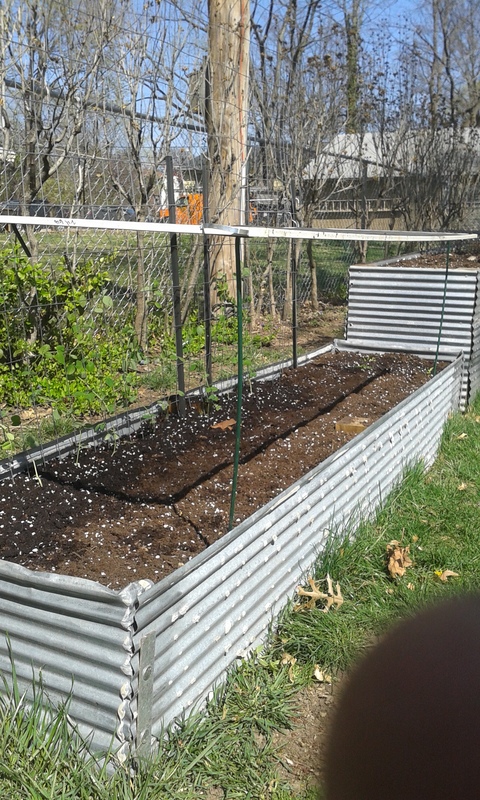 We put fall leaves into these raised beds then just add a garden soil mix with compost right on top. The worms job is to keep the dirt and leaves “working”.